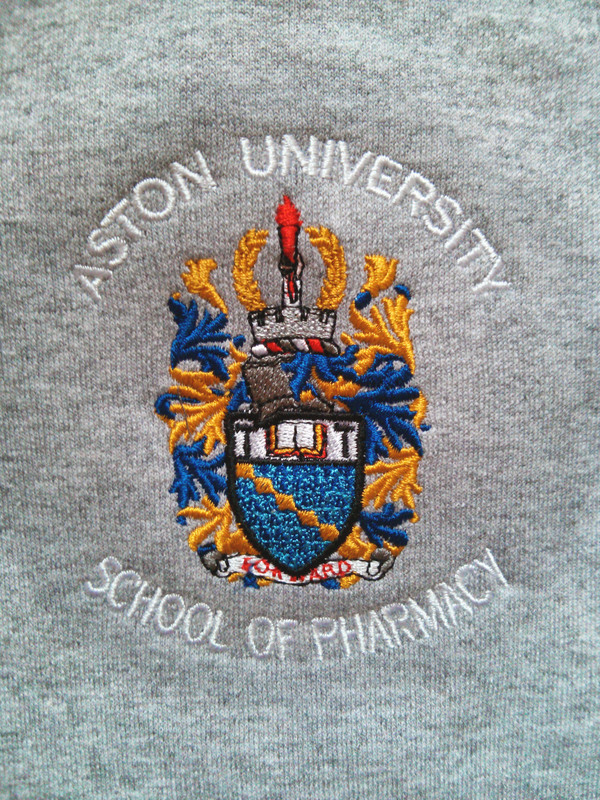 Provided customised hoodies to the Aston University Pharmacy Association. 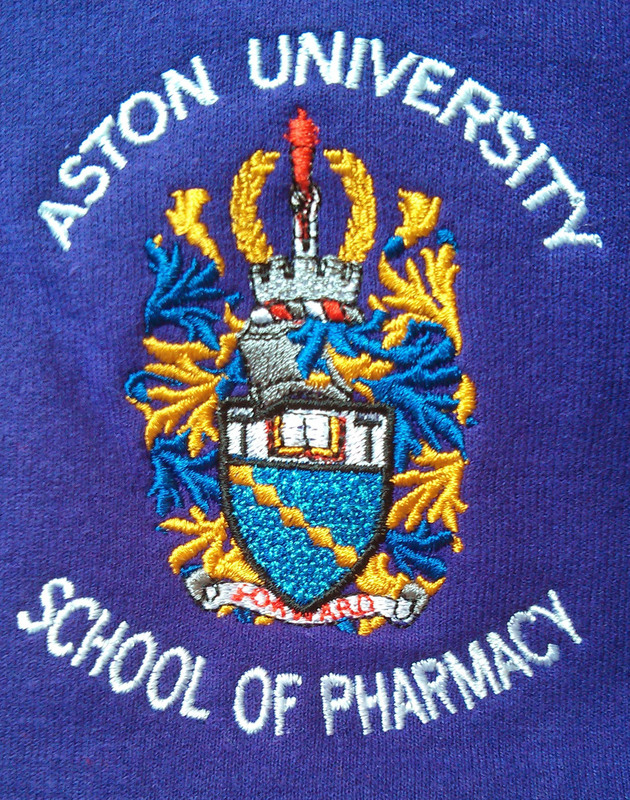 The Aston Crest logo was provided to us as a JPEG file, which we converted to vector. We then used the vector to create the embroidery file before sending it to our embroidery partner for embellishing. The customisation on the rear of the hoodie is in flock vinyl, which enables quick customisation and adds a quality feel. Some of the hoodies have a customised name embroidered on the front of the hoodie.